Food is always a good idea! 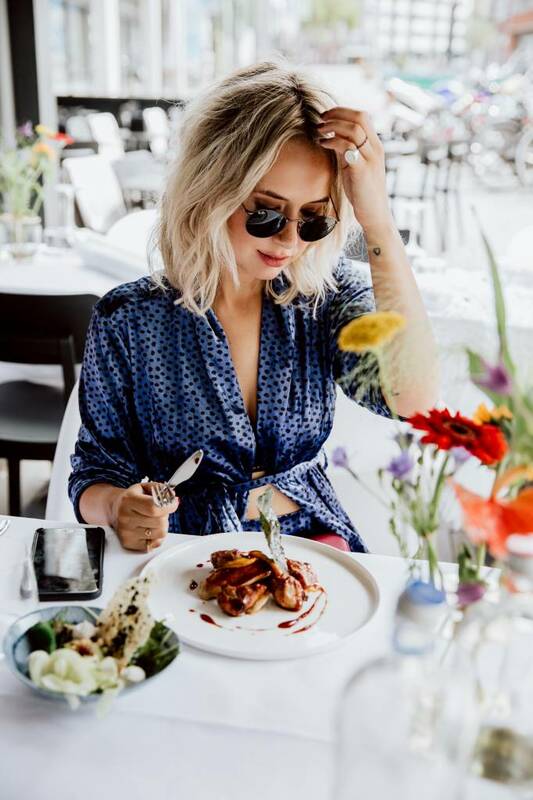 Personal shopper and stylist Sascha van Aert wears our Bobbie velvet blazer combined with the matching Cleo pants, during a delicious lunch at Sun by Zarzo. Wonderfully soft but super fashionable look!